With Snapchat having taken the world my storm with its quirky new applications and innovative, eye catching ideas, there is not a person in the teenage socializing spree who hasn’t abused this app in the best way possible. Snapchat has truly managed to conquer the world with its attractive, awe inducing filters, that makes anyone look good without a shred of make up. This is a feat that has to be applauded in this new age of modern technology. However, the problem arises when one wants to save these painstakingly goodimages. As we all know the core concept of Snapchat is not to let people take a hang of the pictures being shared. But some people, like me, just don’t like to play with the rules. For this purpose, I’ve compiled a list of apps that can help us save those snaps in our smartphone galleries. Note that we’re not, in any way, trying to manipulating the way Snapchat works. I’ve seen people getting banned for doing that. They’d use some tweaked apps which would let them post a picture taken from past and post it as a present snap. This could only result in a message “Snapchat Temporarily Locked” being displayed on the screen next time you try to login. These apps, which I’ve listed down, are reliable and safe to use over all devices and platforms. edit your photos by adding captions, filters, and fonts to it. One has to take care that the videos or pictures should not be opened on Snapchat before you are downloading it through this app. 2. Casper: This app is available only for Android users, and is free of cost with no in built charges. It eases the efforts of Snapchat users and provides better experience in the messenger. One can save the videos and photos of Snapchat by installing this simple app which is available of Google PlayStore. Just like the former app, it can be used to send the files to other users and it also has many in built stickers to uplift the experience of chatting with your friends. It also saves the stories and is embedded with filters to beautify your pictures. 3. 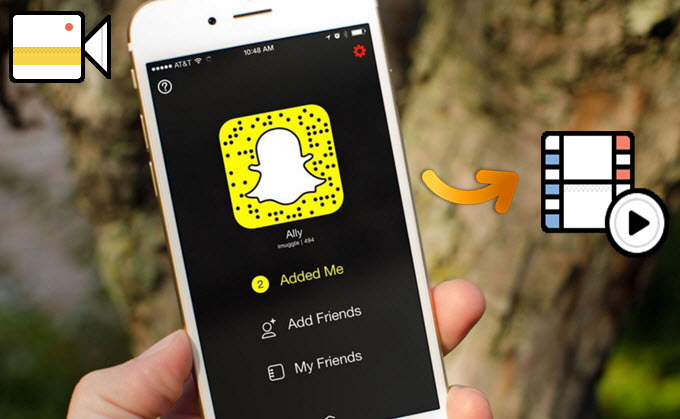 SnapSave: This app is also known for its features which can probably replace your Snapchat app. It is useful in saving the pictures to your device and is totally free of cost. This is available for both Android as well as iPhone users. This gives a totally new effect to your Snapchat messenger app, and has a lot of unique features embedded in it to elevate the experience of the users. So here I end the list of the best apps which could help you save Snapchat photos & videos. No, I don’t say these are the only apps. But these are the apps I find convenient while using. They’re perfect at the task for which we’re looking for. Undoubtedly, these apps are in huge demand. Everyone likes to break the rules, I guess. Well, I don’t think it’s bad, provided it’s once in a blue moon act. So download them and enjoy saving you’re the cool Snapchat photos & video you come around next time. WOW,this seems an important article for me as i am searching from long time,the different apps to save snapchat videos.